A new pair of new releases for Flintloque and Slaughterloo sculpted by Elton Waters we are delighted to present the Nepolise Mountain Artillery crew and their specialised 2lb cannon. You can see them on the Todoroni page of the Alternative Armies website HERE or read on for more information. This is the first of two Valon releases for the month of October 2017. There are a selection of units in the Todoroni of Nepolise Army, allies of the Emperor Mordred and part of the Ferach Empire. These include line infantry, light infantry, militia as well as line artillery and cavalry. 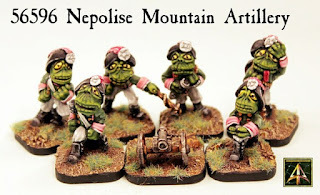 In response to fans of Flintloque these new miniatures give the Todoroni some mobile firepower such as that possessed by the Dogmen of Ostaria with their Grasshopper Gun. 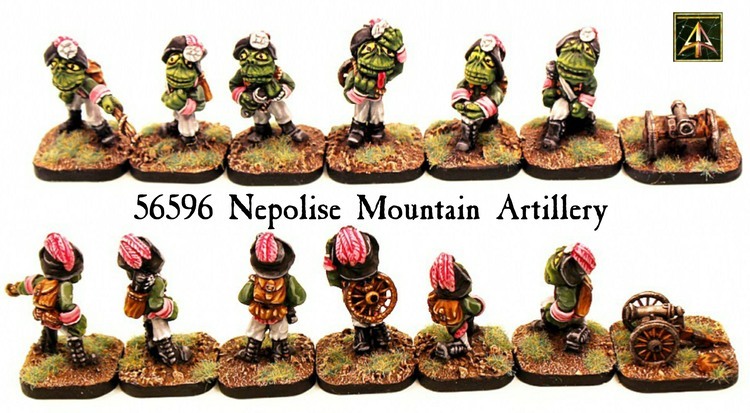 This set contains 28mm white metal miniatures including an officer with match extended, gunner with powder charge, gunner with powder horn, gunner carrying wheel and two poses of kneeling steadying gunners all standing around 28mm tall. 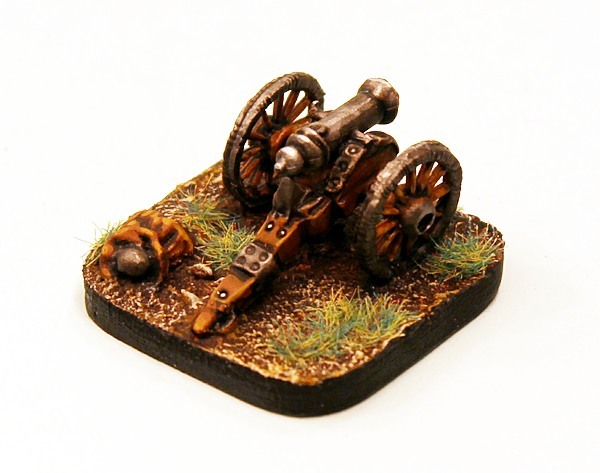 This set also contains a small 2lb cannon kit comprising the cannon, two wheels and a powder charge sack. You can choose from a skirmish pack of seven miniatures (all six crew plus the gun) or the same painted and based for immediate use. You can also purchase the cannon kit on its own. These miniatures are supplied with our resin cartouche bases. Go HERE. The steep snow capped crags of northern Nepolise are the training grounds for gunnery crews which specialise in carrying their cannon into places where artillery is not expected to be. These Todoroni have served in Al-Garvey and in the Witchlands and in fact anywhere that the Ferach seek conquest at the highest heights. For a uniform the Mountain Artillery wear a dark green jacket with white breeches with facings, collars and cuffs being white. Boots and headwear is black and the feather in the cap is pink. This code contains all the parts to assemble one small 2lb cannon for use as a battalion or mountain gun. For use with any Army. Cannon body, two wheels and a powder sack. This model is supplied with a resin cartouche base. Go HERE. It is in the realm of light cannons that the new Mountain Gun is to be placed in play. For use in 5030 Slaughterloo see pg25 for Light Cannons and regular use with a gun crew. Below is a statistics line for the Nepolise Mountain Artillery to be used as part of a Ferach Division as well as an optional test rule for gun crews trained in this manner. To make use of these figures in Flintloque see 5027 Grapeshotte on pg29 for 2lb cannons and pg70 for Mountain Gun rules in play which these Todoroni adhere to as well. 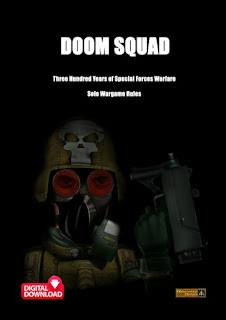 Create your gun crew with the normal procedure for Flintloque. You may choose to give the crew of any Light Cannon in your division the title of Mountain Gunners and this has the following effect in play. 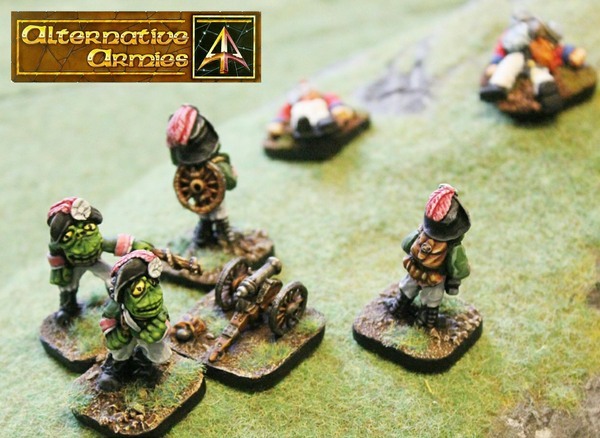 The gun crew may climb or descend any Hill on the battlefield at the normal Good Going movement rate regardless of its Slogging or other passable terrain nature. Impassible Terrain remains so except in the case of cliffs which may be traversed as Slogging terrain as the gunners are in possession of climbing gear.